Should I Adopt A Cat Or A Dog? 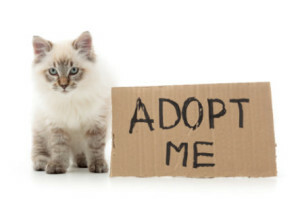 It is always a good time to adopt pets, but June has been designated cat adoption month. By far the most common pets are dogs and cats. 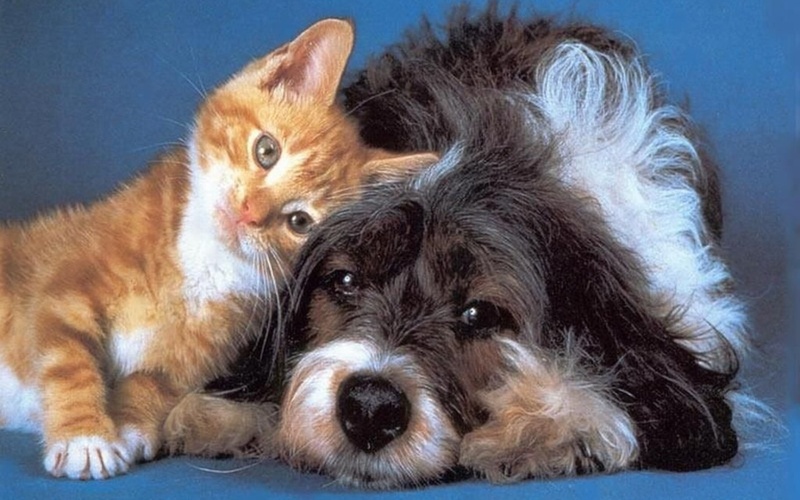 If I asked a person the difference, I would probably get a strange look and an answer like “one barks and growls, where the other meows and purrs.” But there are other differences that affect them as to whether they may be the right pet for your family. First off, dogs need to be cared for, whereas cats are independent. Dogs are descendants of pack animals. Dogs like company and will never be bored if one spends a lot of time with it. Their pack mentality allows the dogs to be trained more easily as they crave attention. On the other hand, cats love to spend a lot of time alone. Cats are solitary hunters that are more attached to their environment than they are to other cats. The pack behavior also relates to how a dog is built physically. In the wild they are designed to run down their prey. This translates to dogs being built as long distance runners. 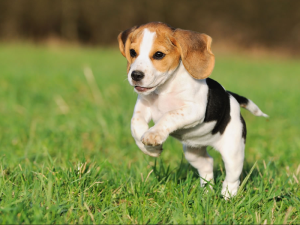 Dogs need a lot of space as they love to run around. Cats are designed to stalk their prey. Their instincts lead them to sneak up on their prey and then pounce. This leads to cats being built more as sprinters rather than long distance runners. Contrary to dogs, cats are very happy in small places. Unlike dogs, cats are lap animals. A cat will tolerate being smooched, but on the other hand, you will be smooched by a dog. Dogs are happy to see you when it is awaken from sleep, but a cat will just pretend to be sleeping, even if you try to wake it. Dogs tend to be your friends at night and protect you from harms way by scaring the intruders. Cats, they will just run for cover. By knowing your lifestyle, you can determine what pet is best for you. Dogs are more social, require more attention and space. Cats on the other hand tend to be happy being by themselves and don’t require as much attention and space. Both species can be rewarding pets. If you have any questions about the right pet for you, please contact our office! October is National Pet Adoption Month and many people constantly are adopting pets from rescue organizations. Peoples lives are enriched in ways that they have never dreamed possible. Bringing home a new pet is such an exciting and fulfilling experience, but it can be a bit daunting as well, especially if you have never shared your home with a furry companion. Here are some tips to get your relationship off on the right foot. Be prepared Before you bring your pet home, determine where your pet will be spending most of its time. Because it will be under a lot of stress with the change of environment, it may forget any housebreaking it has learned. An area with tiled, pergo, or linoleum floors may be best because it is easiest to clean up. You will also need to dog-proof the area where your pet will spend most of its time. This may mean taping loose electrical cords to baseboards, storing chemicals on high shelves, removing plants, rugs and breakables. The more prepared that you are, the smoother your new family member’s transition will be. 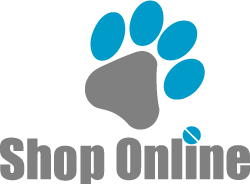 Shop for the basics You will need a leash, collar, food and water dishes and of course food. It is best to know what your new adoptee is eating as an abrupt diet change can cause diarrhea and other problems. If you change its diet, do it as a gradual change like maybe over 10 to 14 days. One other thing to buy is a medal id tag. It does not replace microchipping, but it does help some. If you are planning on crate training your pet, it is best to wait and take your pet with you to purchase it. This way you will get the proper size. Consistency Make sure all family members are on the same page. Ground rules need to be set and the family members need to agree to follow and enforce them. For instance, if you don’t want your new pup on the couch, all the training in the world won’t help if your child lets it sit there with you when you are not home. Also, caring for your pet is a family effort and endeavor, so it is important that everyone understands their particular roles and responsibilities. 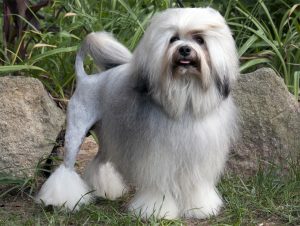 Adjustment Over the first few days to few weeks, your new pet will be undergoing an adjustment period. These surrounding are new to him, so you may notice some anxiety issues that may include appetite loss or suppressed bowel habits. It may even hide under or behind furniture or stay in one room. Don’t be alarmed-this is absolutely normal behavior. Give the pet time to acclimate to your home and family. By showing patience, you will help it through a tough, scary time and it will show the pet how wonderful his new home really is. Set Schedule It is best to set a schedule for feeding, toileting and play/exercise. From Day One, your dog will need family time and brief periods of solitary confinement. Don’t give in and comfort it when it whines when left alone. Instead, give it attention for good behavior, such as chewing on a toy or resting quietly. By sticking with a schedule that you created, your pet will be bonded with you in no time and the pet will be showing its true personality. Veterinary Care Schedule a first visit to your pet’s veterinarian during the first week. Bring any and all medical and vaccination records that were supplied by the shelter or rescue from which you adopted your dog. This first visit os a great time to get clues about your pet’s personality and past history, so don’t be afraid to ask lots of questions. Also, if your pet is not microchipped, this is a good time to do it because true love is hard to replace. Congratulations! If you follow these tips, you’ll be on your way to having a well-adjusted family member. Make sure to contact us if you have any questions!